This page is dedicated to showcasing all of the talented and knowledgeable people who have shared their wisdom and experiences with us while performing presentations for our Club. If you are experienced and interested in becoming a Guest Speaker at our Club, please contact our Program Coordinator-Steve Brunn. "Mud Matters: Importance of Substrate in Freshwater Ecosystems"
"Seen & Heard at the ALA 2018 Convention"
"We don't need no stinkin filters!" Member Appreciation Fish Swap & Picnic! 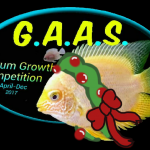 "Banquet Talk- New Species coming into the Hobby & Online Aquarium Personalities"
"Pick Pisces Species Pix - Fish ID contest"
"What's in a name?- Stories behind some common fish names". "Reserva Las Gralarias and the Las Gralarias Foundation"
"how to build caves, decorations and backgrounds that are fantastic"
"Poret Foam Sponge Filter Hands On Workshop"